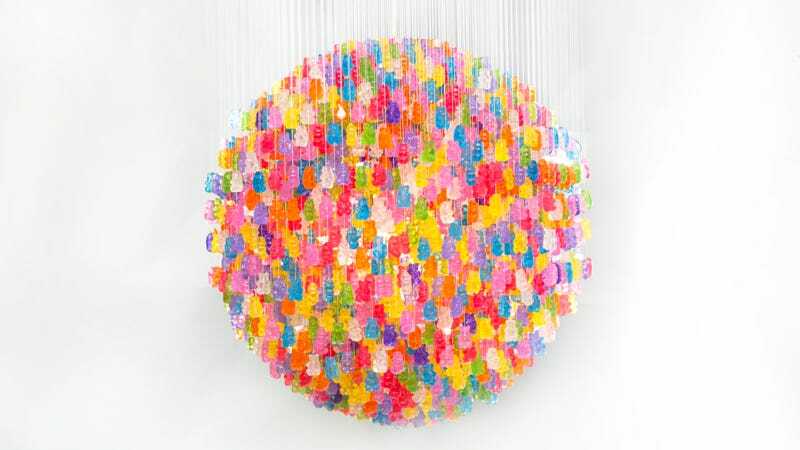 Fortunately, this gummy bear lamp is not actually made of real gummy bears, but 3,000 cast acrylic GummiBears. Not because of security concerns—imagine all those poor bears melting and causing a disaster—but because I would eat the whole thing. Designed and handmade by Jellio via Kevin Champeny, you can buy them in two sizes: 18 and 31 inches for $2,400 and $6,500, respectively. I want real GummyBears so badly now. Alcoholic ones too.